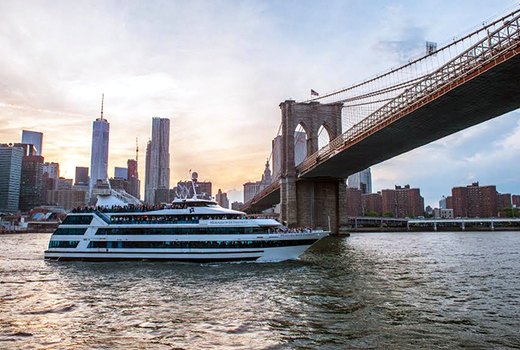 Put a unique spin on your weekend brunch plans with this bottomless brunch cruise aboard a luxurious Hornblower yacht, setting sail every Saturday and Sunday at 12:00pm from Pier 40. 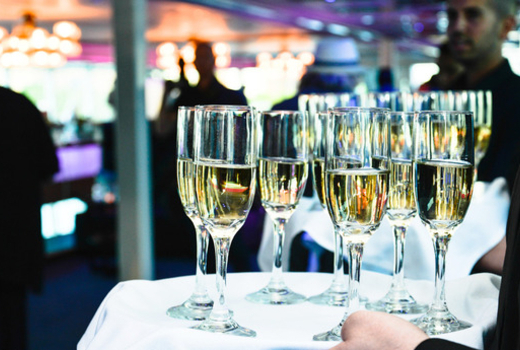 Grab your $69 Ticket (a $108 value) to this fun and scenic Jazzy Champagne Bottomless Brunch Cruise that promises to make even the best weekend plans that much better. Once aboard, you will enjoy an endless buffet of delicious brunch favorites, complimented with 2.5 Hours of Unlimited Champagne & Mimosas. 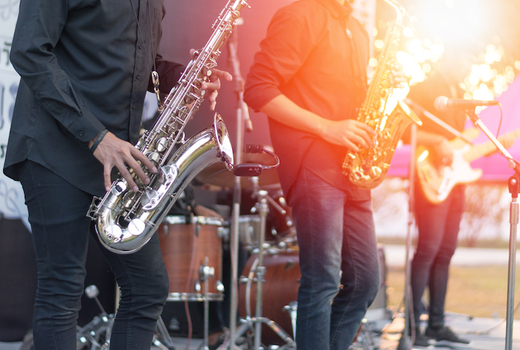 As you take in the sweeping views of New York Harbor, Hornblower's critically acclaimed jazz band will be playing some of your favorite tunes. 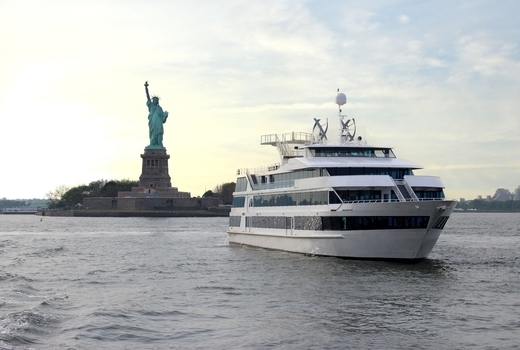 With a fleet of luxurious yachts, including the sleek Hornblower Infinity and the eco-friendly Hornblower Hybrid, the company offers waterborne tours that include starlit dinners, cocktail sails, private events and seasonal excursions. Gather your friends and family for an afternoon of endless food, unlimited cocktails, live jazz and a whole lot of fun aboard one of Hornblower's luxurious fleet. 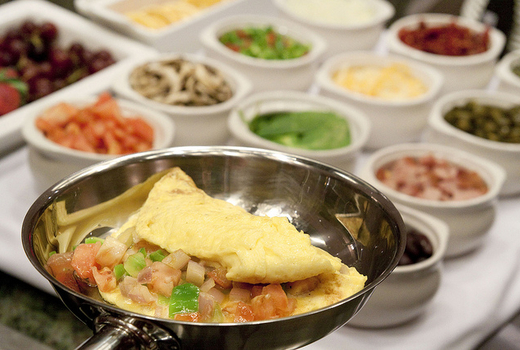 This is a brunch buffet like no other. 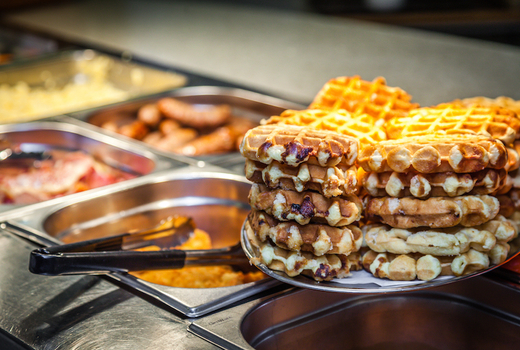 Take your pick from hot delights including both turkey & ham carving stations, benedicts, french toast, waffles & much more. On the cold tables you will find salads, salmon, mini pastries, fruits and more. Finally, the highlight of the dessert station is the chocolate fountain! 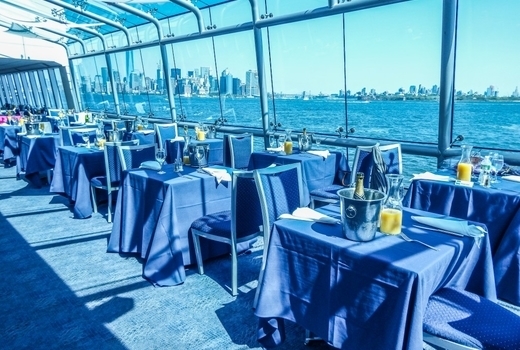 Admission to Hornblower New York's Jazzy Champagne Brunch Cruise from 12:00pm until 2:30pm on a Saturday or Sunday of your choice through expiration. 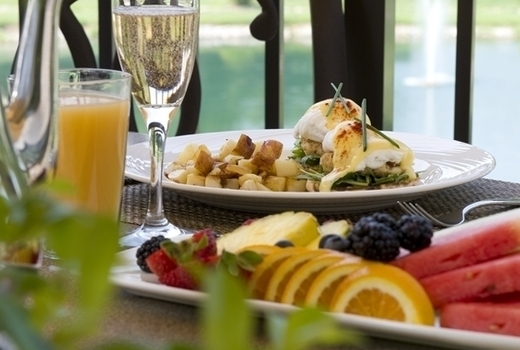 2.5 Hours of Unlimited Champagne & Mimosas (30 minutes dockside & 2 hours sailing). 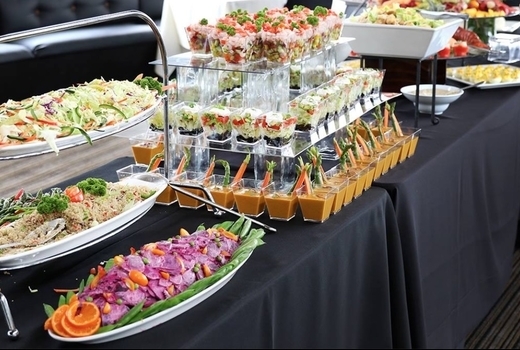 2.5 Hour Brunch Buffet & Dessert Station, including coffee & tea (30 minutes dockside & 2 hours sailing). Live jazz ensemble and onboard live DJ. "Had the best time on the jazz brunch cruise. The food was amazing and plentiful. I would definitely recommend for a date - it was very romantic." Cruises take place every Saturday & Sunday thru expiration. Boards at 12:00pm. Cruise sails from 12:30pm-2:30pm. Expires on Sunday July 14, 2019.